Our guests make our business successful and we love to share their stories. Please read our vacation rental guest reviews and you will know you made the right choice to book with Gibson Sotheby's International Realty. 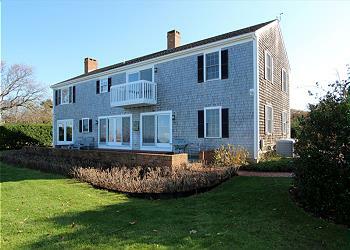 The location of 1 Nauset Farms Lane, it's huge deck, lovely landscaping is ideallic. The owners were very helpful after some excitement when the smoke alarm sounded at midnight and we had concerns about the gas odor. It suited our needs. We were inthralled by the combo washer/ dryer-no need to move the laundry! Through the living room window at dusk there is a ballet of humming birds that swoop in to visit the rose-of-sharon shrubs. It is quite magical. 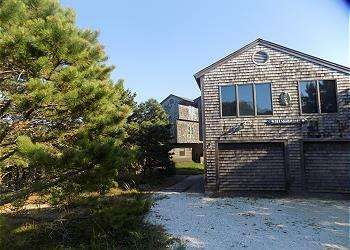 The proximity to Nauset Beach, BNI, Nauset Farms is all within walking distance (more or less). We had a one week stay in Orleans as a family of 4 plus one 9 pound Maltese. This was our first stay on the Cape as a family with 2 children under 13. We chose Orleans for its centralized location and convenience to the places we wanted to visit including beaches, nature walks and other fun activities like the Wellfleet Flea and of course mini-golf. We really enjoyed our cottage. Having a kitchen and 2 bedrooms was key. The deck and grill were also great to have. This is a very comfortable place to stay and kudos to the owner for updating the interior with modern furniture, artwork and cool flooring throughout. I would definitely recommend this property to a friend without hesitation. Our family of 4 (kids 10 and 12) plus our dog had a great stay. The cottage was very clean. This small cottage lived surprisingly large. Large fenced in deck gave us lots of space. Only real downside was the small (full size) bed in the master. Spacious rental home, great location! Centrally located in Orleans. The house was great especially as we booked it last minute. Huge backyard with goats. Plenty of space for ~10 people (there are 9 beds). A great week! Denise at Sotheby's Rental was so extremely helpful. This was a last minute booking and she went out of her way to be helpful. I really appreciated it and will absolutely use her in the future. The house was clean and bright and we enjoyed our stay very much. It was an easy bike ride to cold storage beach and a nice long morning walk to sesuit cafe for breakfast. 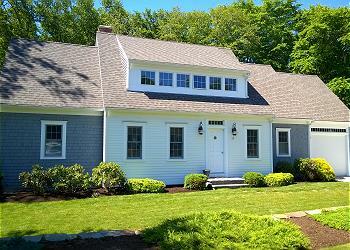 What a lovely open living space, patio & outdoor shower, all were clean, well equipped & quintessentially Cape Cod! The flower boxes & gardens are charming! The patio was quiet, private & beautifully landscaped for cool afternoon reprieves compared to everyone & their cousin on the beaches 4th of July weekend! Thank you for the use of the 2 extra beach chairs. The flower boxes & gardens are charming! Overall wonderful! Great little house in a great location. Our only comment is, please put some window treatments on bathroom Windows!!!! My family and I stayed here in July and had a fantastic time. The house was beautiful, inside and out. The inside was very clean and had an airy and inviting feeling to it the minute we stepped in. The flowers in the flower boxes were beautiful and gave the house an extra touch. The patio was beautiful and surrounded by flowers and big enough to hold a group of people. The perfect place to relax after the beach. The house was conviently located to everything you could possibly need. Would definitely rent it again. Great place! Clean with some nice updates and the A/C came in handy with the humid weather we had that week. Retired Brewster Police Captain; I have rented this place the last 4 years. 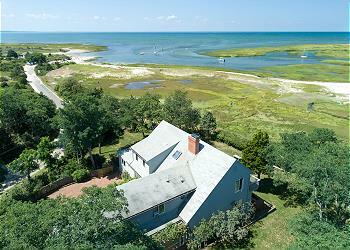 One of the best locations and neighborhood, and beach area in Brewster. Old Cape Sotheby's is always a pleasure to work with. The house always feels like home and is clean and has all the necessary conveniences. Close to all towns and restaurants and attractions. My family loves it; apparently their is a new owner so hopefully the tradition continues. We had a wonderful relaxing time, as in the past 2 years at this property. The rental is clean, up to date, in a great area, always feels like home. The rental company is wonderful and helpful to deal with. Looking forward to being there again in 2018! We had a great time! The house is very nice and was very clean. The location is excellent! We had a great experience all around with the rental company too! The cottage was cute and clean and had everything we needed for a beach vacation. 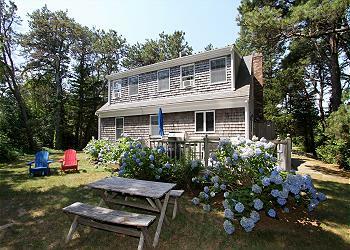 It is a short walk to a cute bay beach, and Brewster is centrally located and has a great deal to offer. We hope to return next year to the same house. Chris was amazingly helpful answering our questions. Easy check in easy check out. Fantastic neighborhood with everything you need right at the corner. We had a lovely time! Beach was perfect and gorgeous sunsets. Wonderful neighbors too. We had a great stay! This is the second year staying here and the home, the location, rental agents are great! We are looking forward to next year to rent again. We love it. This is a great property- especially for young families. A wonderful friendly community with nearby access to the beach. Clean, uncluttered space with great deck and backyard. Convenient to many locations, yet feels private. We had an excellent 2 weeks at 13 Green Lane. We found the home to be clean, in great shape, and well-equipped. 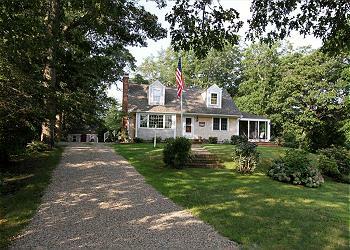 We have rented on the Cape for the past 10 years and this house ranks near the top in quality. Outstanding outdoor shower, nice quiet street, and the finished basement is an excellent space for 2 more family members to sleep and hang out. We had a wonderful time at 135 Pochet. It was great to be able to walk and/or drive to the private beach and then head back to the house and hop into the pool. House is beautiful and in great condition. Very clean and had all the items needed to make the vacation enjoyable. Bed were comfortable. Appliances all updated. Proximity to beach and town was great! We had the honor of being the first guests at 136 Barley Neck Road. The house was re-built from scratch based on a house from the 1700's in Truro. This house has the historical aesthetic coupled with all the modern touches. It is in immaculate condition, tastefully decorated. It's in a great location in Orleans, within two miles run, walk or drive to Nauset Beach and easily accessible to the center of town. It very comfortably sleeps eight. Great space indoors and outdoors to relax. 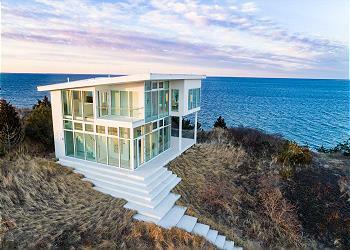 Truly a perfect Cape Cod getaway. Highly recommend it to others. Enjoy! This was our 25th year in a row to Corn Hill, our second at this rental and the best. Our group loved our stay in Truro. The home was perfect for our needs, plenty of dining and hang out space, comfortable accomodations, and steps to a private beach with calm waters and gorgeous sunsets. Would love to return next year! Visited cape cod for the first time this past Memorial Day weekend. This house was perfect for our stay. Beds were super comfy and deck area was lovely. We walked to the private beach just up the street to watch the sunset. Thank you for accommodating us for our trip! To start with, the rental agency was wonderful; staff and service top notch. We had an issue with the well water pump on a Sunday morning, no water. We called the agency and they handled the issue superbly. We are familiar with the location as we have rented here for the past 23 years. It has become our family get together spot every summer. The property was perfect; great views, the architectural design provided for perfect people flow throughout the house. We loved Corn Hill and its serenity and proximity to the beach, Wellfleet and Provincetown. Just great. Beautiful home nestled in the high dunes of Corn Hill. Distant ocean view. Take a short walk down 200 steps to private assn beach or hop in the car for a 2 minute jaunt to the town beach, or relax on any of the three decks. We liked the open layout upstairs with master bed plus en suite bath. Guest beds and den down. The house was fully stocked, grill, linens, cleaning supplies, paper products, etc. Furniture and beds were comfortable. New TVs. Only amenity missing was an outdoor shower! we had a wonderful week at 14 Corn Hill Landing. the property was well maintained; in a great location with easy access to the beach. we have stayed in several other properties in Truro and would definitely rent here again.